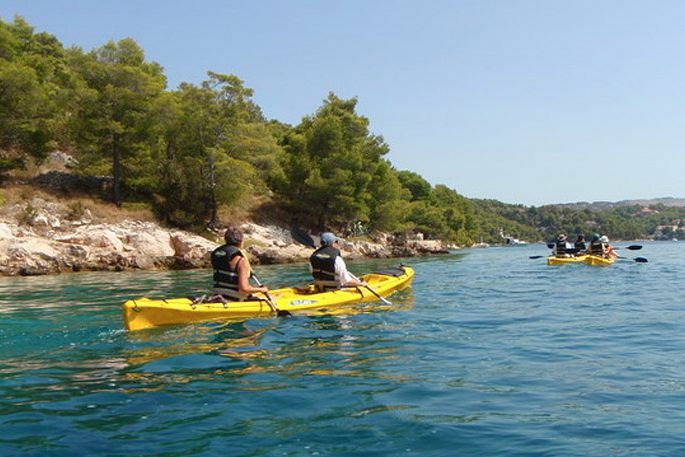 Paddle with us and explore hidden bays, beaches and small picturesque villages. 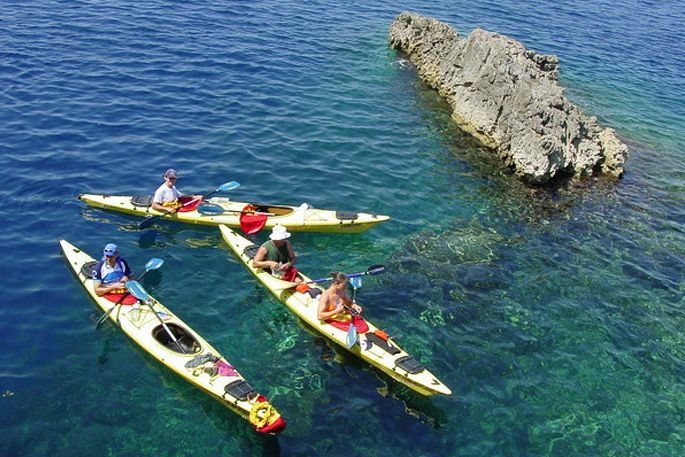 Sea kayaking & some snorkeling is trully the best way to experience the island! 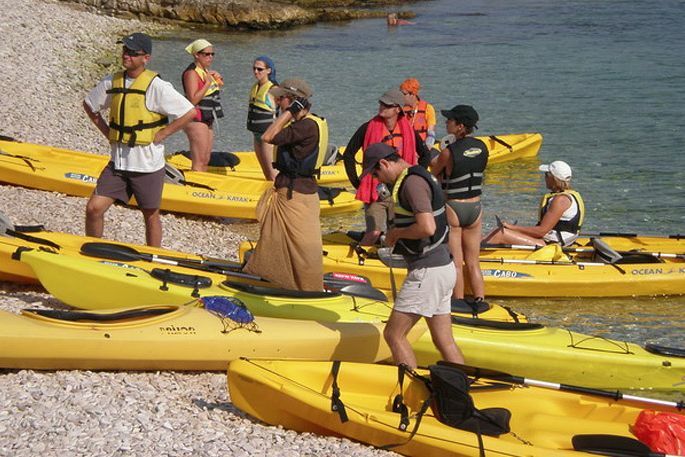 Sea kayaking is one of the best ways to truly experience the island. 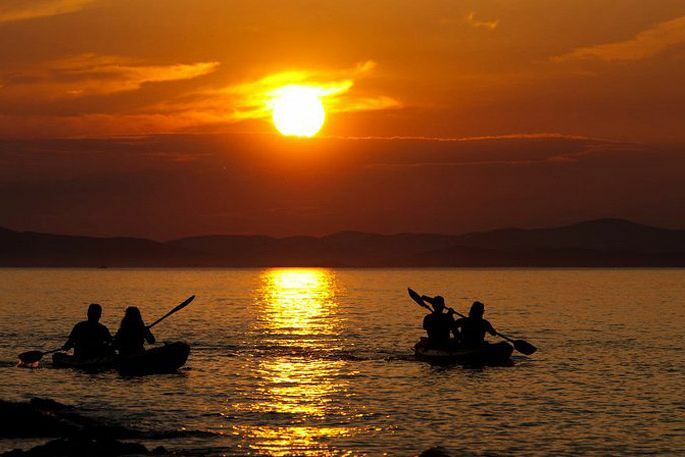 Get away from busy beaches and explore some of the most beautiful areas of our coast. 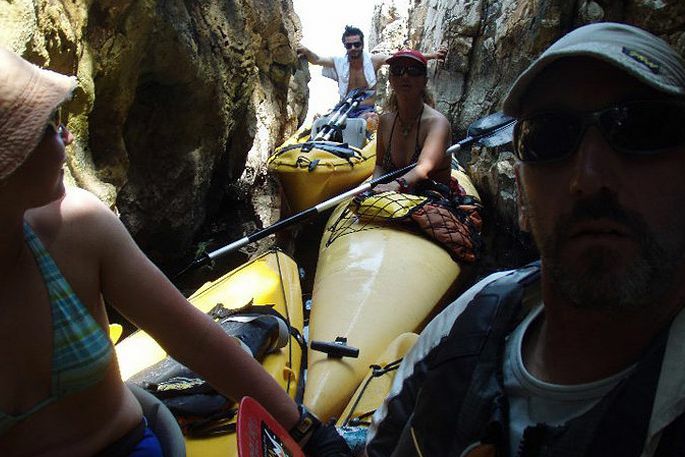 If you have never kayaked before don't worry, you will receive basic instructions from our guide before we set off to our adventure. 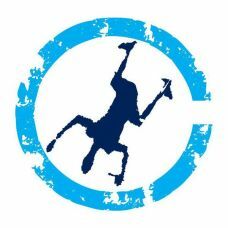 You will be surprised how quick you get the hang of it. 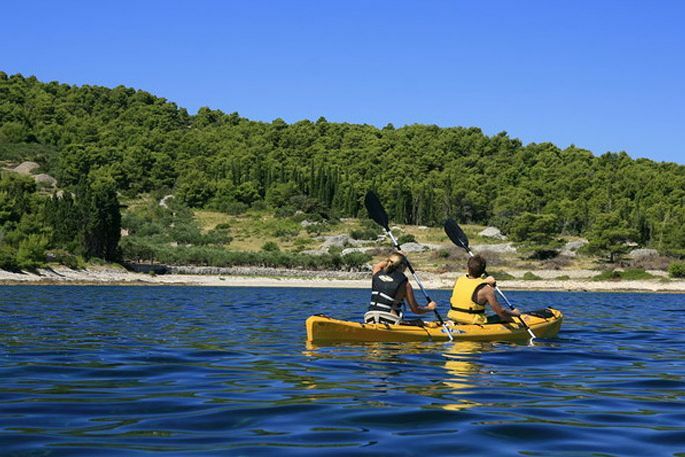 We start kayaking from Sutivan along the North-West coast of the island of Brač, taking in the view of pristine nature and clear sea. 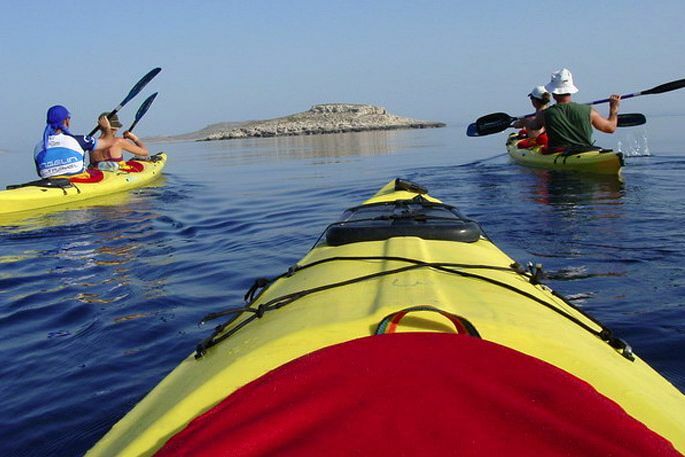 In our double sit on top kayaks we will paddle close to the shore, away from the sea traffic and crowded beaches. When we stop for a break you can snorkel, swim or simply enjoy the beach and the sun. 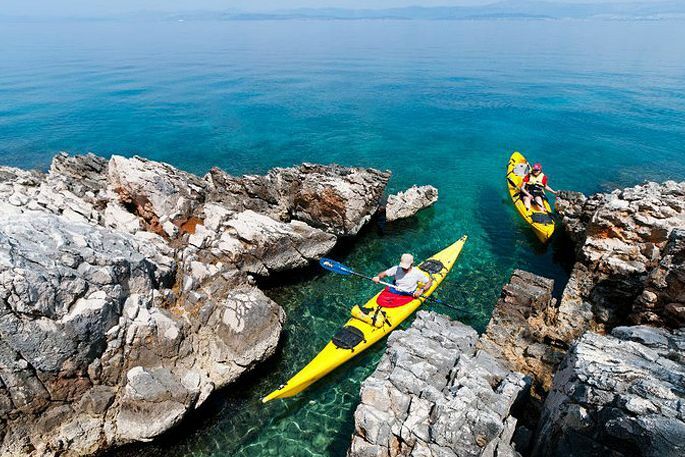 We will continue paddling to the cape of the island (cape Gomilica) from where we will have an amazing view of the island Šolta and Mrduja islet. We will return to Sutivan at lunch time. 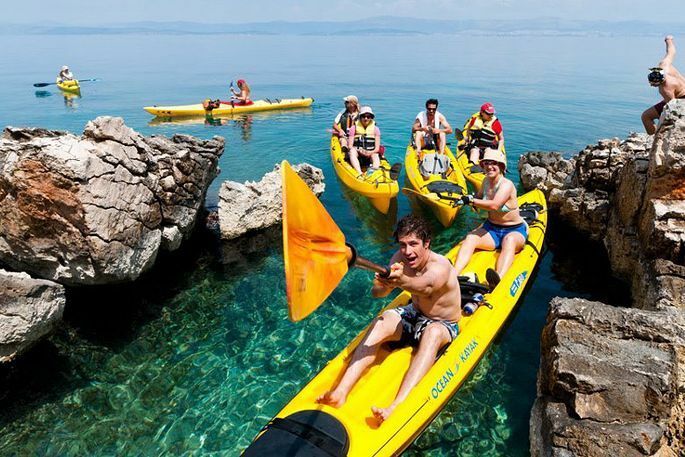 Guide, equipment (double sea kayaks, lifejackets, neoprene booties, snorkel and snorkeling mask), transfer by van to Sutivan and back for guests from Supetar, Splitska, Postira, Milna, Ložišća & Bobovišća, all taxes and fees.